In June of 2015, Facebook rocked the online advertising world when it announced its game-changing new product: Facebook Lead Ads. No more compliance headaches on landing pages. And no more sending users outside of Facebook. Facebook Lead Ads are different from any other kind of Facebook campaign. With Lead Ads, Facebook auto-fills a user’s full name and email address right into a “Lead Form” that’s embedded in the Facebook news feed. Facebook takes advantage of the fact that it already has the contact details of Facebook users (all 1.13 billion of them). So leads don’t need to visit your website to give you their details. Facebook does it for them. Click here to view our Lead Ad on Facebook. Facebook Lead Ads are a huge opportunity for businesses to generate leads at lower costs and with less effort than many other methods. From a Slack group for marketers. Until recently, getting your leads from Facebook was a pain. You would have to manually log in to your Facebook Business Manager, go to your Publishing Tools, export a CSV file of your leads, and import those leads into your email provider. And you’d need to keep doing this over and over to get your leads. With Drip’s integration, now available inside every Drip account, you can push your leads directly into any campaign in Drip—automatically. 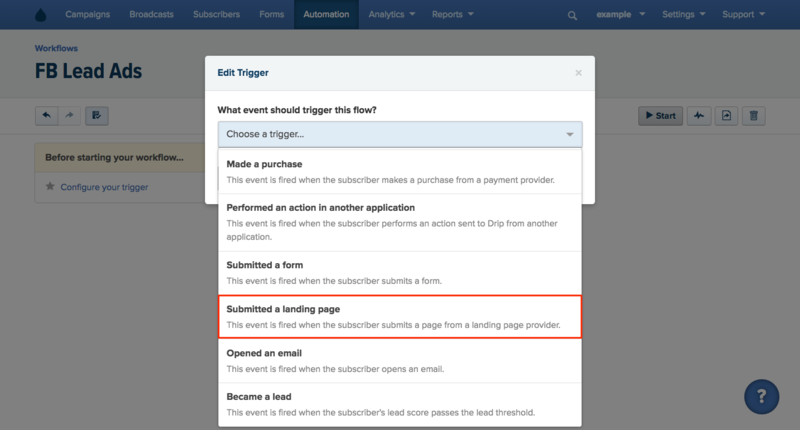 Here’s how to sync your lead forms with Drip. In Drip, syncing your Facebook leads is simple. In order to get your Lead Ad to work, you first need to create a Lead Form within your Facebook ad manager or Power Editor. In your Drip account, navigate to Settings > Integrations. Under Other select Facebook Lead Ads. Click the Subscribe button on the name of your Business Page. You have successfully granted Drip the access it will need to automatically start pulling in any new people who opt in through your Facebook Lead Ad form. To perform an action any time a person is added via your Facebook Lead Ad form, you will use the following trigger: Submitted a landing page. In Drip, create a new workflow and give it a descriptive name. Select the “Submitted a landing page” trigger by clicking on the Define your trigger stage of the newly created workflow. At this point, your Lead Ad form will push new leads into your workflow. 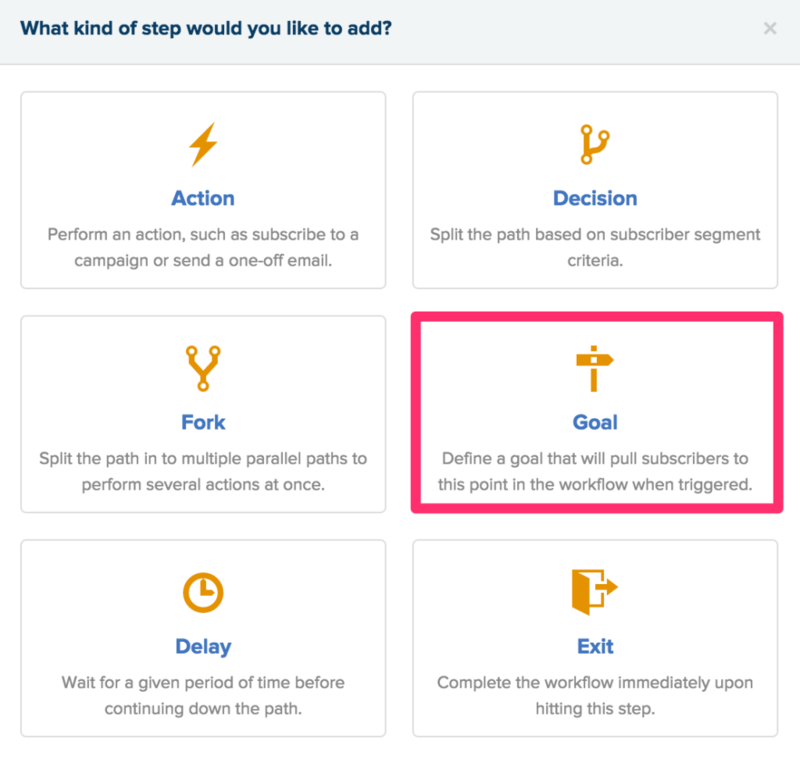 You can apply a tag, notify your salespeople with notification emails, send the content that your audience is waiting to receive, and much, much more in Workflows. The possibilities with Lead Ads and Drip are endless. Here are three of the coolest ways I’ve seen marketers using this new format. Running profitable Facebook ads for ecommerce is hard. So if you’ve had a tough time getting conversions, you’re not alone. When Steve Chou, co-founder of Bumblebee Linens, ran his first Facebook campaign, he got some surprising results. Steve split-tested his funnels and discovered that collecting emails (and following up later to get the sale) got him a much better ROI than going straight for the sale on his store. With my ecommerce store, I ran an ad for a couple of weeks where I just sent them straight to a listing of products. And that converted very poorly. Then I tried sending them straight to a landing page with an email signup form giving away something, and that actually worked out really well. Facebook Lead Ads are a great way to collect emails. You can offer discounts, giveaways, or a free shipping offer. At the end of the day, it really comes down to testing. Once you collect emails, though, it’s important that you send several follow ups. Welcome: Welcome the person. Give them their coupon and a link to buy. Buying guide: Answer FAQs about your products. Highlight some “recommended” or “popular” purchases, so they feel confident in buying. Content: Add value with content. Remind them about their unused coupon. Social proof: Give them stories of other customers, Instagram photos with your products, etc., and video reviews. Remind them about their unused coupon. Deadline: Remind them that their coupon will expire in 48 hours, with a link to buy. Use an evergreen countdown timer or third-party app for the deadline. Last Call: Remind leads that their coupon will expire. Give them a link to buy. That’s because even if you’re spending $1 to make $0.80 (a loss of $0.20 per order), you can probably optimize your funnel until you’re acquiring customers at a profit. Then comes the fun part: scaling from 10 to 100 to 1,000 orders per day. Pro Tip: Obviously, you should stop sending coupon reminders to customers when they use the coupon. To segment prospects and customers correctly, use a Goal in your Visual Workflow. You’ll want to name the Goal “purchased a product” or “used a coupon code.” This will pull leads down—out of your coupon reminder funnel—when they purchase. Try This Now: Build a Facebook Lead Ads campaign for the “Mobile Newsfeed” format only. Split-test this against a “Desktop Newsfeed” campaign with the same ads, coupon offer, and audiences. If you find that mobile leads are cheaper, double down. Generating leads on mobile (to convert later on desktop) will put you on the right side of Facebook’s explosive growth in mobile usage. Let’s suppose you’re marketing a SaaS app. You’re running LinkedIn ads to a landing page. And on that landing page, you push for a trial sign-up. Even if you use an epic landing page and convert 10% of clicks into trials, you can still expect to lose 90 out of every 100 visitors. That’s where Facebook retargeting comes in. To get started with retargeting, you first need to add a Facebook pixel to your landing pages. This lets you build unique Facebook custom audiences for bounced visitors. To set this up, simply target folks who hit your landing page — but don’t make it all the way to your “Thank You” page. Instead of sending people back to your trial offer (which caused them to bounce in the first place), you’ll want to create a Facebook Lead Ad. Use a softer offer–like a free ebook or whitepaper–and capture leads to sell them on the benefits of your product. From there, nurture your leads. Send them an email mini course. Nudge them to start a trial. When you target past website visitors like this, you can often get leads (and sales) at a fraction of your normal cost-per-acquisition. 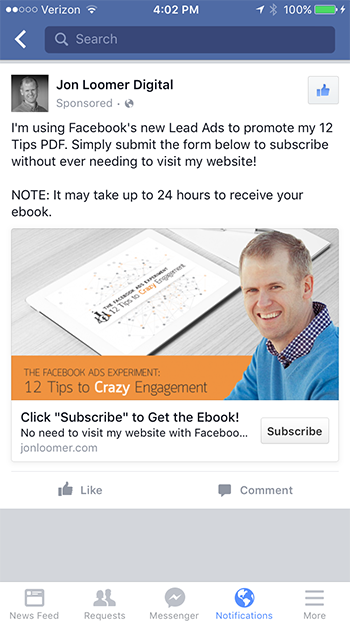 As an example, Jon Loomer added hundreds of people to his email list for just $0.45 per lead by targeting website visitors with Facebook Lead Ads. Try This Now: First, check out this guide to Facebook retargeting. If you haven’t yet, add your Facebook pixel to your website and create a custom audience from all website visitors. Start by showing Lead Ads to visitors on your “money pages,” like your pricing page, Contact Us page, and PPC landing page—targeting leads who don’t make it to your Thank You page. This is your low-hanging fruit. If you want more high-paying clients for your agency or consulting business … you should study a savvy Drip user named Mike Martens. Mike tested Facebook Lead Ads for his digital marketing agency, Alien Run Inc. And he cut his biggest client’s cost per lead by 75%. Interestingly, Mike’s client works in one of the most obscure markets ever. 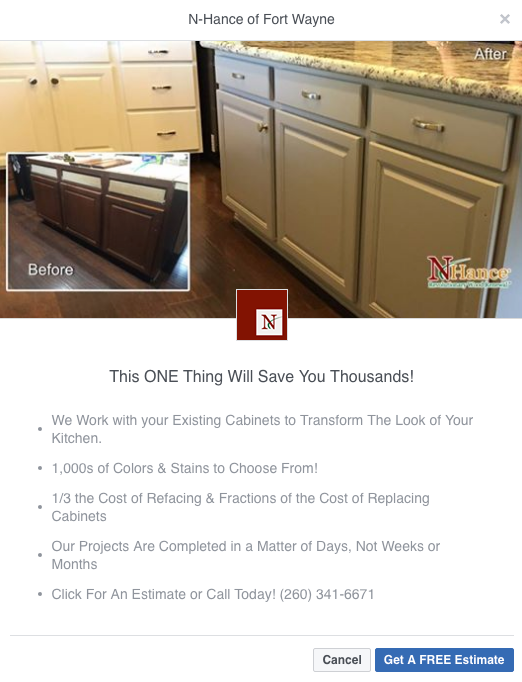 Kitchen cabinet restoration in Fort Wayne, Indiana. Click here to view the winning ad on Facebook. You can see the ad’s Context Card above. Context Cards are exclusive to Facebook Lead Ads. They work a lot like a 2-step opt-in, teasing visitors with some benefits of subscribing before you actually ask for their email. In our early tests, this decreases cost-per-lead and increases your conversions. So, what should you do with these leads? If “autopilot” sounds good, you could swipe our lead intake blueprint. 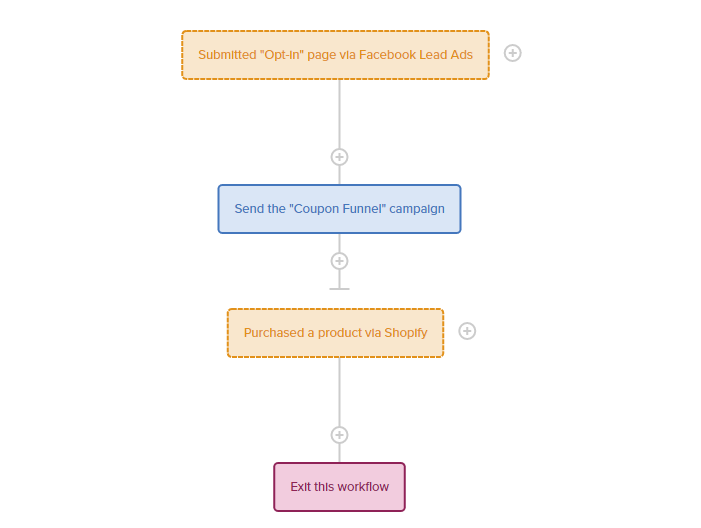 This is the same process we use to handle demo leads at Drip. Alternatively, using Drip, you could trigger a notification email to notify yourself (or your sales team) when you generate a new lead. This makes it super easy to follow up with prospects quickly. According to one study by Lead Response Management, Internet leads are 22 times more likely to convert when you follow up within five minutes (compared to following up within 30 minutes). Your approach is up to you. In Mike’s case, his digital marketing agency discovered a surprising benefit of using this new ad format. You actually get authentic email addresses. The default information from Facebook appears to generate higher quality email addresses, since we have seen a boost in our open and click rates in our email campaigns. Our initial results are also showing a much lower cost to generate a lead. In some cases the cost to acquire a lead using Facebook Lead Ads is 75% less than we had been seeing with other campaigns. Try This Now: Set up a Lead Ad, be sure to include a Context Card with bulletpoints of benefits, and make your Call to Action a free consultation. (Here’s a solid guide to setting up your Lead Ad in Facebook.) From there, add a notification email in Drip to ping you when leads come in. And if you only work 9am to 5pm, consider using a Facebook ad schedule, so you only get leads when you can follow up within 5 minutes. 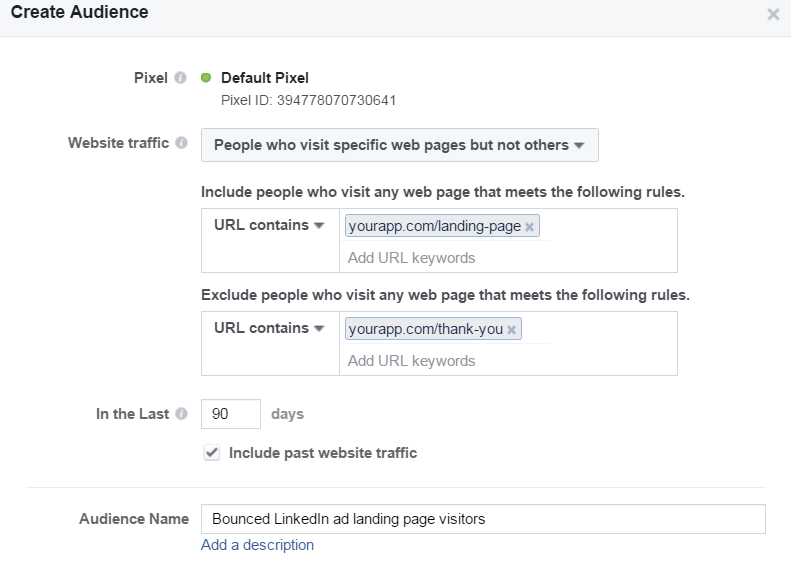 Get Started with Drip + Facebook Lead Ads . . .
Facebook Lead Ads represent a huge opportunity for businesses in any industry. If you want more leads or a bigger email list, the possibilities are endless. Note: there are third-party apps that sync Lead Ads with email providers, and some of them start at $30/mo. Drip, on the other hand, is free for your first 100 contacts—and gives you all the marketing automation, free integrations, and simple conversion tracking you need to convert leads into sales. Now that Drip has a no-strings-attached free plan, you really have no excuse not to test Facebook Lead Ads. Let us know in the comments—have you tested Facebook Lead Ads? What other applications can you see with Drip + Facebook ads?